We had no idea about Taiwan’s past, so we wanted to discover more about it. 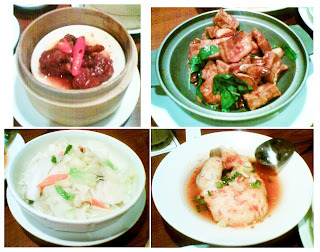 Recently, we discovered a restaurant, Banana New Paradise, which has an old style atmosphere. 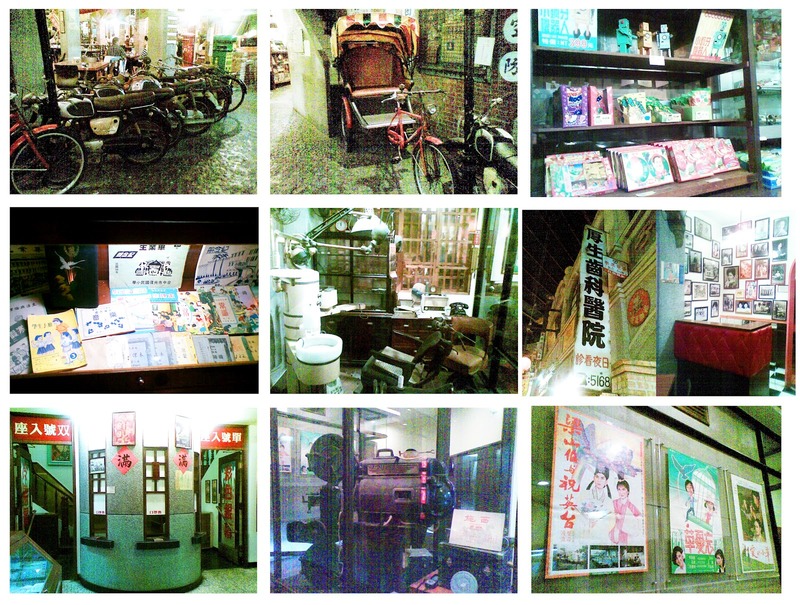 We saw a lot of memorable stuff which taught us about Taiwan’s past lifestyle. 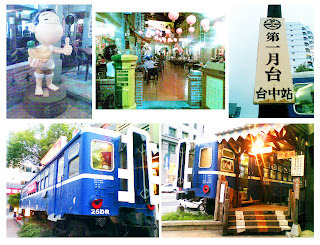 When we arrived at Banana New Paradise, we saw an old train car and platform outside the restaurant. We got on the train, and the train took us “back in time” to old Taiwan. When we arrived at our destination, we saw an old Taiwanese scene in front of us. We were surrounded by dim light and old Taiwanese music. It was like an old street. When we arrived at the reception desk, the waiters took us to our seats and introduced the menu. After we ordered our meals, we went for a walk and looked around the shops. However, we discovered that the shops were not real shops; they were just façades. In front of the reception desk, we saw a row of rusty motorcycles and a tricycle. As we moved clockwise, we saw a grocery store displaying a number of folk games and candies. Next to the grocery store was a photo shop decorated with black and white photos on the walls. We saw a lot of school stuff, such as old workbooks and text books, in glass cases along the street. Before we arrived back to the reception desk, we saw a dentist’s office. The dentist’s office equipment looked the same as contemporary equipment. When we went to the second floor, we saw many movies posters on the walls. There was also an old movie projector on display. When we had completed our tour around the restaurant, we felt hungry. Luckily, the dishes we ordered were served soon after we reached our seats. We had ordered collard greens, braised tofu, steam fish, and stewed chicken feet. The collard greens were crispy and fresh, so they tasted a little bit sweet. The braised tofu was chewy on the outside and tender on the inside. It went well with our rice. The steamed fish was sour and refreshing because it was cooked with a bit of lemon juice. The fish melted in our mouths and also went well with the rice. The stewed chicken feet were tender. Although the decorations at Banana New Paradise were beautiful and the food was delicious, the cost was a little bit high for students. We spent almost NT$1000 for four people. During weekdays, the minimum purchase for one person is NT$50, and on the weekends, it goes up to NT$100. Besides, you need to pay an extra 10% service charge. Banana New Paradise is still a great place to escape the hustle and bustle of daily life and experience Taiwan’s traditional lifestyle.